Are you ready for some football? Looking for THE Penn State Bar to watch the big game every Saturday with friends, family and fellow alumni? 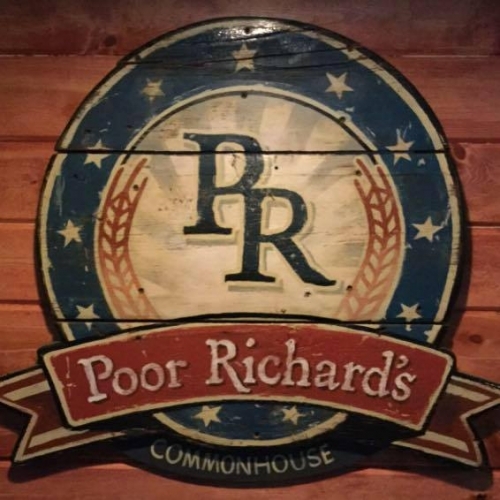 The Penn State Minnesota Alumni Chapter is proud to announce for the 2018 season, we'll be gathering to watch Nittany Lion football in a more central location: Poor Richard's Commonhouse, in Bloomington. The chapter's Board has checked it out, and Poor Richard's management is eager to have us watch games there. For most games, we expect to have our own room and dedicated servers. The seating is comfortable, the menu is varied, and the viewing will be good. This should work out well for our chapter, and we encourage you to join us! As shown below, Poor Richard's is just south of the I-494 / Hwy 100 interchange. From I-494 (either direction), take the exit for Normandale Blvd / County Road 34. Proceed south to the light at West 84th St, and turn left onto 84th. Go about 50 yards and turn left again. Your destination will be right in front of you. If you're coming from a place that's due north of Poor Richard's, go south on Hwy 100, go past I-494, turn left onto 84th, then (after about 50 yards) left again. Put some games on your calendar now, and watch your email for more information as each game approaches. See you there! We look forward to celebrating the start of the new season with all of you!